Boeing says it has signed a historic agreement to sell jetliners to Iran Air, the first major deal between a U.S. company and Iran since nuclear-related sanctions were lifted earlier this year. 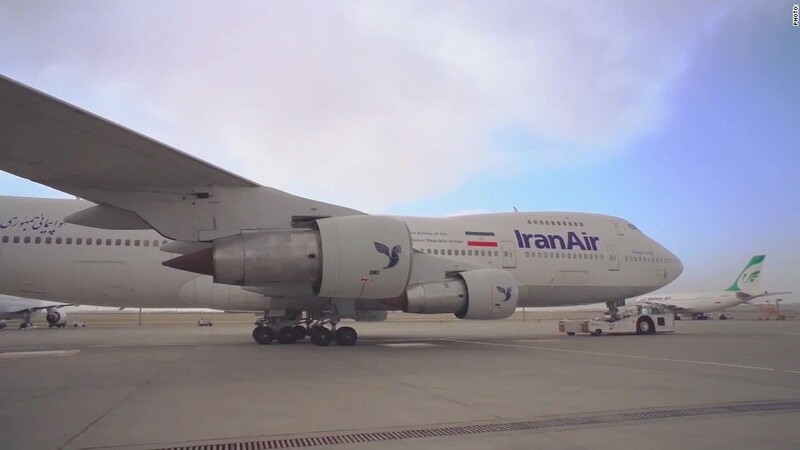 Boeing (BA) declined to say how many aircraft are part of the deal, but Iran's state media has said the country's flag carrier will receive 100 new jetliners. The new aircraft should help modernize a fleet that is among the oldest and most dangerous in the world. The agreement, however, still needs to be formally approved by the U.S. government. The deal faces other potential stumbling blocks related to U.S. sanctions that remain in place following the nuclear deal stuck by Tehran and Washington in January. But the primary U.S. trade embargo targeting Iran remains in place. Among other things, it denies Iranian banks the ability to clear U.S. dollars through New York or do business with American financial institutions -- which could complicate the deal's financing. Sanctions covering military technology, terrorism and human rights also remain in force. Together, they effect a wide range of industries, including aviation. Boeing said Tuesday that the U.S. government had authorized its negotiations with Iran, and that it would continue to follow the government's lead. "Any and all contracts with Iran's airlines will be contingent upon U.S. government approval," it said. Boeing isn't the only manufacturer to capitalize on the bonanza of new Iranian aircraft orders. Iran Air has already announced a huge deal for 118 aircraft from its rival Airbus (EADSF).